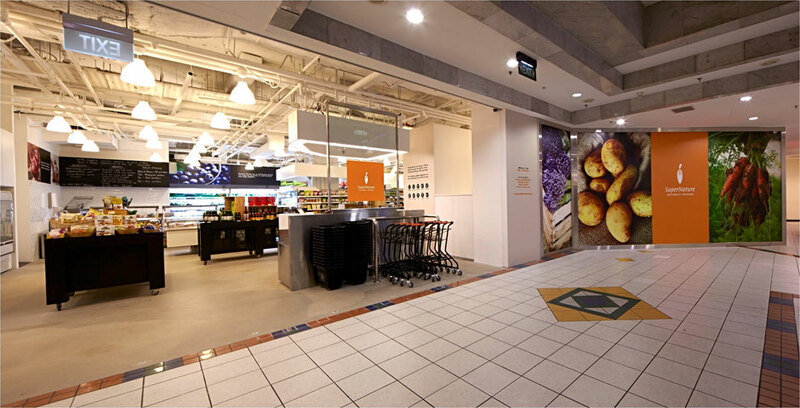 SuperNature is the premier organic shop in Singapore. They’ve been around for over 16 years and since 2007 have been part of Christina Ong’s wellness and fashion empire. If money is no object this is where you come for the healthiest and largest variety of imported organic vegetables in Singapore. Purple carrots, fractal cauliflowers, sweet potatoes the size of your head and a gazilian types of green veggies – its all here, all organic. On our visit they even had 4 different types of kale including black kale, Tuscan kale and the rather pedestrian curly kale! Not only that, unlike other pretenders to the organic throne in Singapore, they even have the best quality dry goods as well. Not many people understand the problems associated with phytic acid in untreated nuts, seeds and grains. Not SuperNature however! They have soaked and sprouted pili nuts, mixed sprouted granola, activated pecans – the lot. The Café is really more of a bistro counter with a selection of very colourful and appetising looking salads and meats on display. Its more geared towards take away but they have seats in the back so we ordered a medley of items and got stuck in. We had the beetroot and orange salad which is a classic combo and very tasty as long as you like beetroot. The beetroot was quite well cooked so that dampens the very earthy taste that puts people off but it was not too soft and had a good bite to it - perfect for beetroot beginners. That purple colour is an indication of how chock full of anthocyanins beetroots are, which are scientifically proven to exhibit substantial anti-carcinogenic activity in vivo and in vitro1. The meatballs got a mixed reaction. Half of us liked them and the other half didn’t. Difficult to say why, maybe it was the flavourings they used because the meat on its own was fantastic. We also tried the steak which appeared to be a lean cut such as a strip loin without the fat on the outside (alas we suspect the SuperNature crowd is still stuck in the 1980s low fat paradigm). 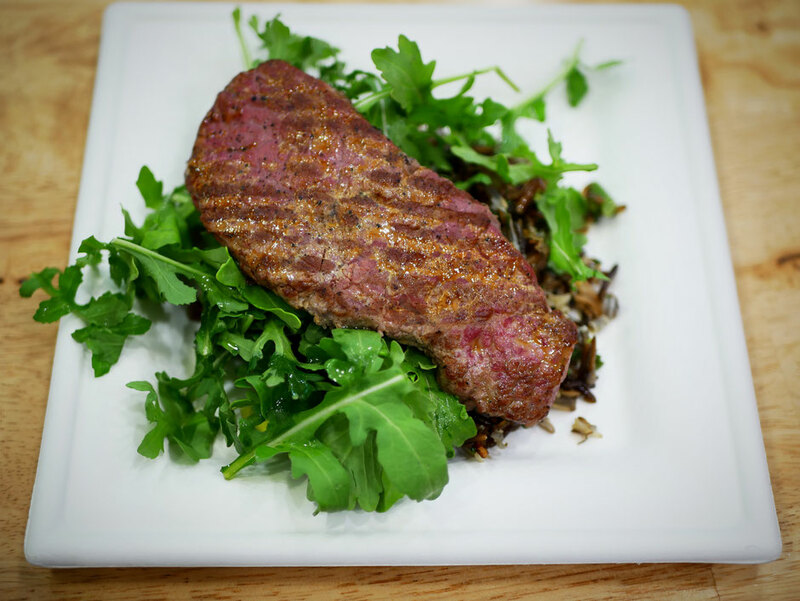 It was fantastic, that very flavourful beefy taste that you can only get from pastured grass fed and finished animals, and surprisingly tender considering how lean it was. The beef was sitting on a bed of unspectacular and unseasoned arugula but a very interesting wild rice, broccolini and mushroom salad. Wild rice is an acquired taste and has a kind of “bitty” texture not unlike improperly prepared brown rice – you’ll either like it or you don’t. We thought it was great particularly with the mushrooms and the chef had soaked the rice for a very sensible 12 hours before cooking it. 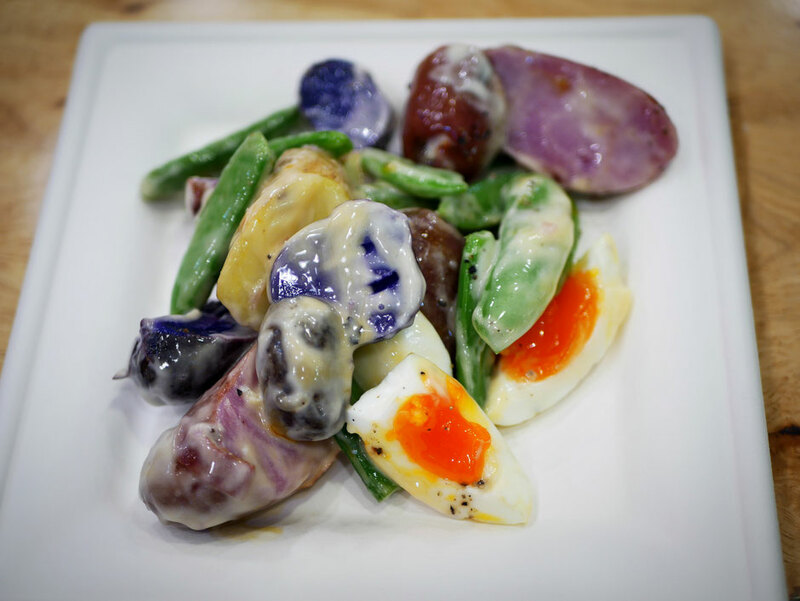 And lastly we had the rainbow potato salad with sugar snap peas and organic feed eggs. The potatoes were the main ingredient in the dish and whilst they were fine, the mayonnaise that smothered them was not great – it had that classic industrial seed oil taste to it which is a shame because it was quite a strong flavor. The sugar snap peas were wonderful; perfectly cooked “al dente” and really sweet and Farmer Brown’s organic feed eggs are the best in Singapore with their bright orange “glow in the dark” yolks which is a great indication of a healthy chicken. There are tons of companies selling “free range” eggs in Singapore but unfortunately that is largely irrelevant if you are still feeding the chickens a diet of commercial grain, corn and soy. The contestants of America’s Biggest Loser are also “free range” but they are certainly not healthy! Prices are 6 dollars for 100g irrespective of what you order. We didn’t order enough so that gave us the perfect excuse to order desserts. Whilst we don’t really recommend eating desserts regularly my colleague did say to me, “people are going to order them anyhow so we might as well review them”. My arm was twisted! At least the desserts here are gluten and sugar free so we tried the carrot cake and the chocolate brownie. The carrot cake tasted more orangey than carroty and used a ton of almond flour instead of normal white flour. 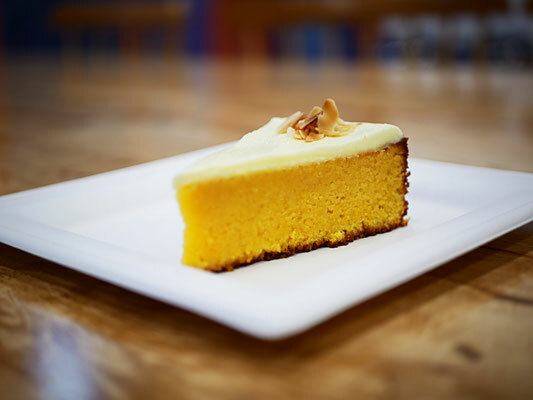 Almond flour makes your desserts moist, dense and rich, which can be a boon or a bust depending on how fixated you are on typical glutenous cakes. We all liked it but were split 50/50 on the creamy orange topping. The chocolate brownie was far less sweet, rather dry and crumbly. Possibly it could have done with more coconut oil or some other healthy fat like grass fed butter or ghee. However, if you like dark chocolate you’d like this. Considering how difficult it is to make cakes without white wheat flour then I think they were both holding their own. Just to finish think off we thought we’d try their selection of yogurts. They had a ton of choice and we settled on a organic goats milk yogurt from Europe, an organic blueberry yogurt from Australia and a plain non organic yogurt from Ireland. 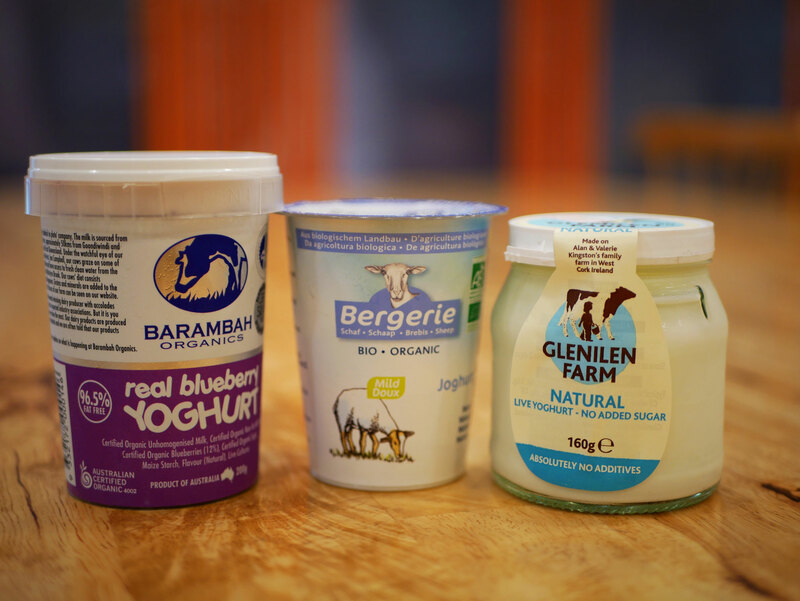 The blueberry yogurt was just “OK” – purely for those with a sweet tooth. The goat yogurt was amazing and more like a thick Greek yogurt without the strong goat flavor you often get with goat’s milk. The non organic yogurt from Ireland was the best however! 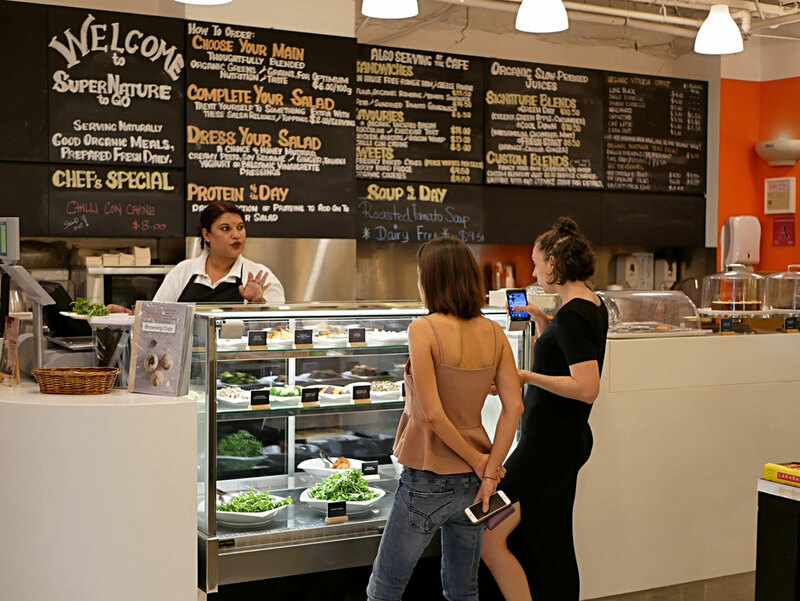 All in all, SuperNature is a fantastic choice if you’re in Orchard and looking for somewhere to go for a quick snack and a cup of organic coffee. 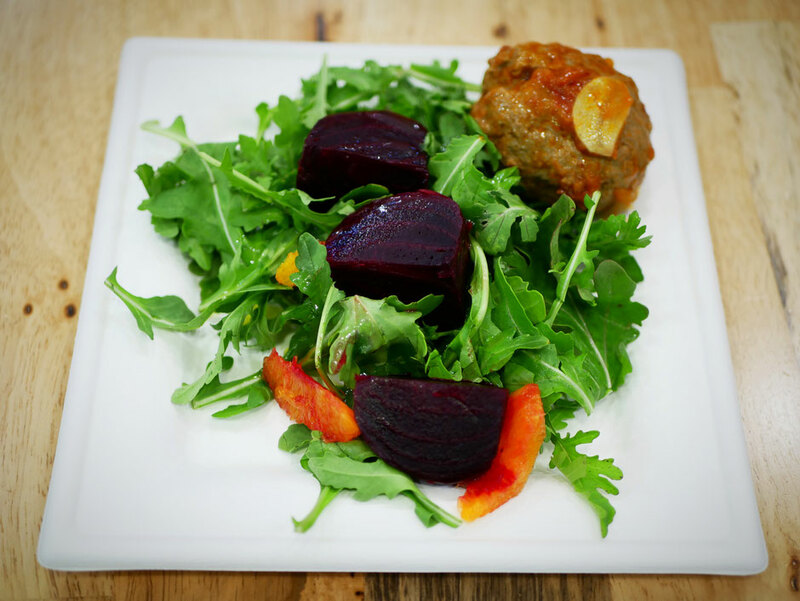 The food is simply prepared which is exactly how it should be when it’s fresh, organic and naturally very tasty. It’s even great for a proper meal but just make sure you order enough so you don’t end up pigging out on the cakes afterwards! Want to read something similar to this? 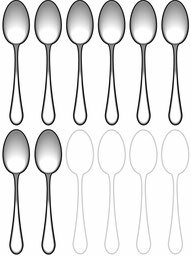 Click here for our other restaurant reviews. Keen to read any of other interesting food reviews similar to this? Click here now.